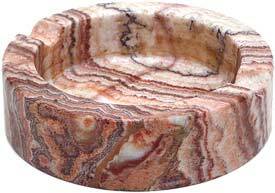 Marble ashtrays made of one piece natrual stone from $15.95. 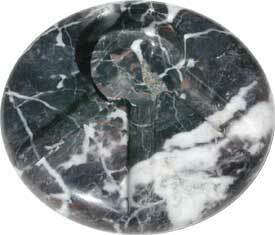 Our marble products are meticulously handpicked for quality and beauty. 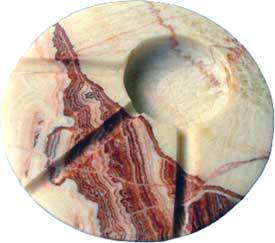 All marble ashtrays are made from natural stone formations and will vary in grain and color. These are truely beautiful pieces and each one is unique. 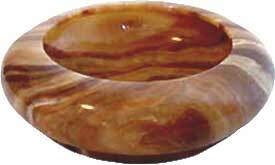 Elegant solid round marble ashtray in light to medium shades of almond with veining of burgundy rust, honey, black and brown. Can hold up to 2 cigars / cigarettes at the same time. Vertical sides. Polished finish and weighs about 2 pounds. 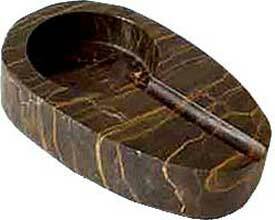 Makes a great gift for any smoker Looks great in any room.6.0" x 1.5".